We were so fortunate to have nearly 300 people join us for a sold out run of An Ideal Husband. Thank you to everyone — actors, production team, volunteers, audience members and Saints — who helped make this a phenomenal experience for our new company. If you'd like to learn more about Ghostlight Ensemble, please visit our website and spend some time poking around. We have company bios, past productions, details on how to volunteer and support us and — coming soon — our Season 2 announcement. In the meantime, check out the final show in our season, The Princess Without Pots — the story of a princess who has studied every weapon known to human existence and knows how to use them...as long as you don't need to know which knife is best for chopping carrots. The show is tailored to young audiences, but meant to be enjoyed by all. We've had numerous calls, emails and messages asking about tickets for this weekend's performances of An Ideal Husband. Unfortunately, we are completely sold out and we are not able to add seats or performances, nor are we able to extend the production another weekend. We will have a wait list at each performance. There is no late seating at our shows, so if patrons who have purchased tickets in advance do not show up by curtain then we will release those seats to the wait list. We are flattered by everyone's interest in the show and we wish we were able to accommodate everyone, but unfortunately we cannot. An Ideal Husband is a hit! 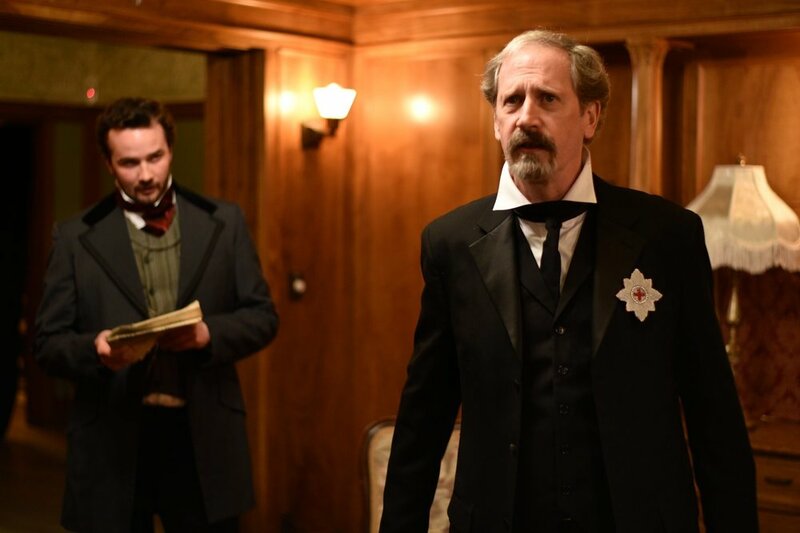 Rave reviews from audience members and critics alike are piling up for Ghostlight Ensemble's production of Oscar Wilde's An Ideal Husband, which has sold out every production (including previews) so far. Splash Magazine says "it is a delightful show and highly recommended." While the Chicago Reader also recommends this "savvy" production calling it, "remarkable: a compelling examination of acute moral dilemmas faced by recognizable people with rich inner lives." And Chicago On Stage says of the cast, "the acting is uniformly excellent" and adding this "a first-rate production." Meanwhile audience members have said, "Perfectly staged in the Berger Park Cultural Center mansion, elegantly costumed, and finely acted, this is a show to see." It definitely IS a show to see. But you'll need to get your tickets in advance for An Ideal Husband, which runs through April 28, because we've been turning people away at the door. Tickets are available now through Brown Paper Tickets.